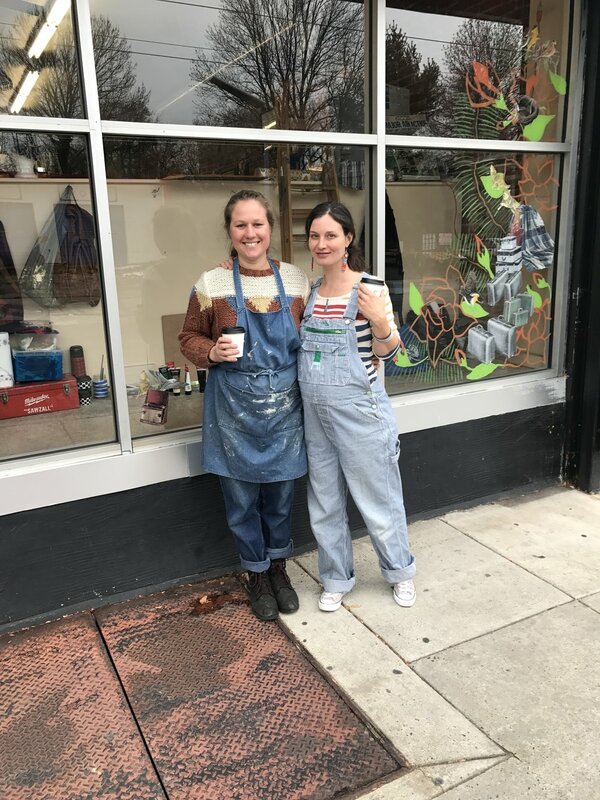 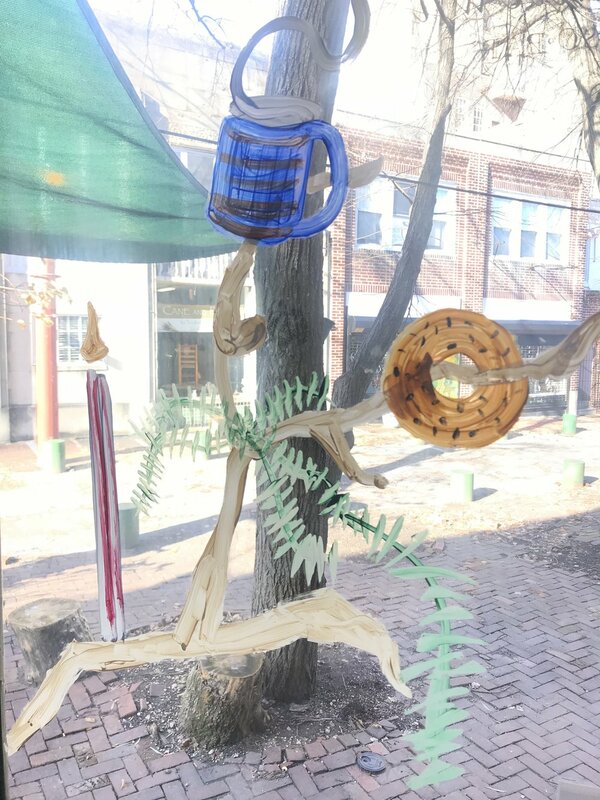 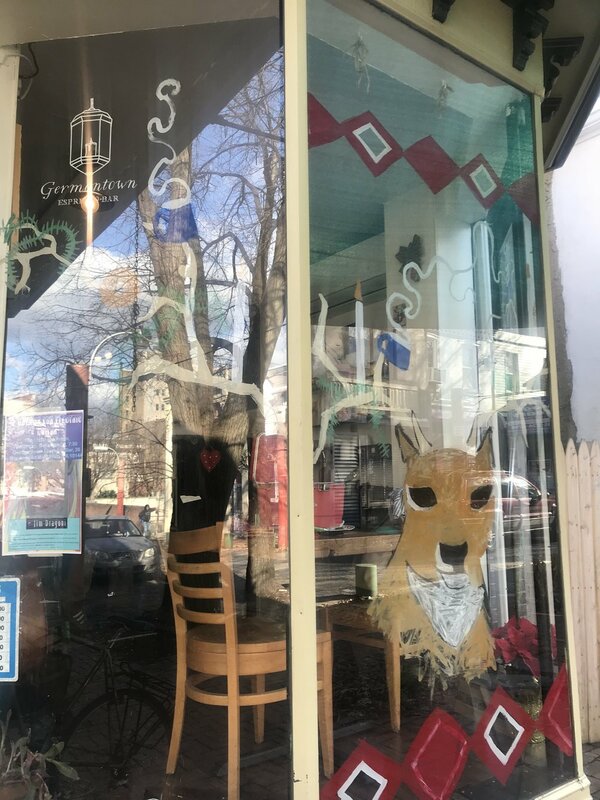 The Storefront Activation Program through Germantown United CDC pairs local artists and makers with neighborhood businesses and property owners to upgrade storefront window displays and interior spaces visible from the street. 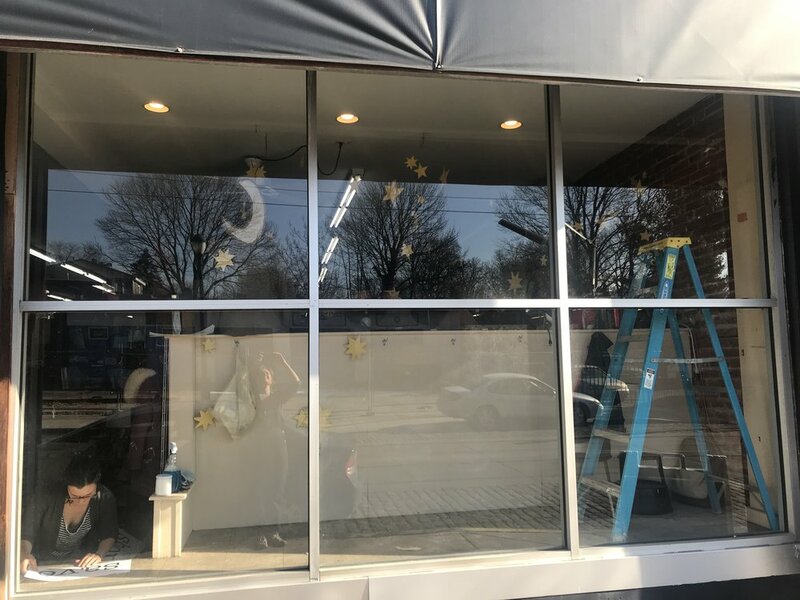 The grant program aims to enliven the street for pedestrians, attract more customers to existing businesses, market available commercial properties, and promote Germantown to prospective businesses. 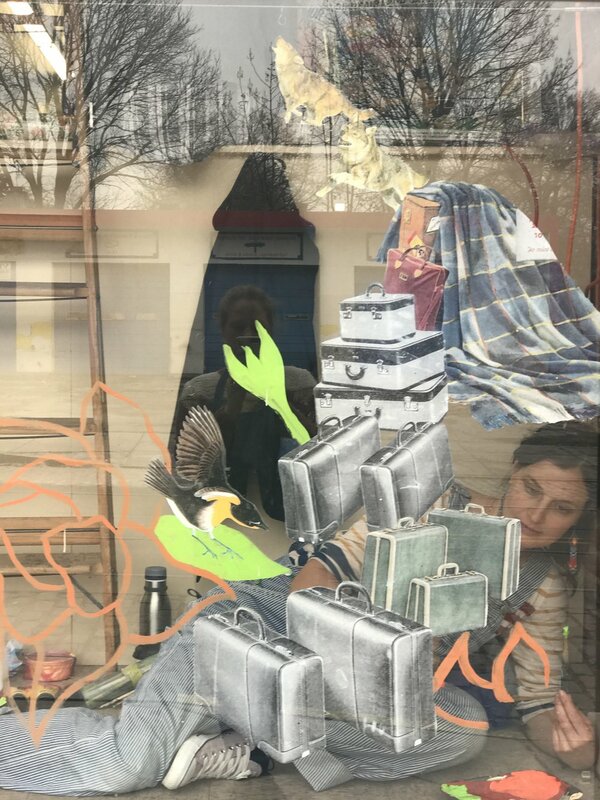 Myself and fellow artist Alison Dilworth transformed Bargain Thrift’s storefront window into a festive three-dimensional old fashioned postcard. 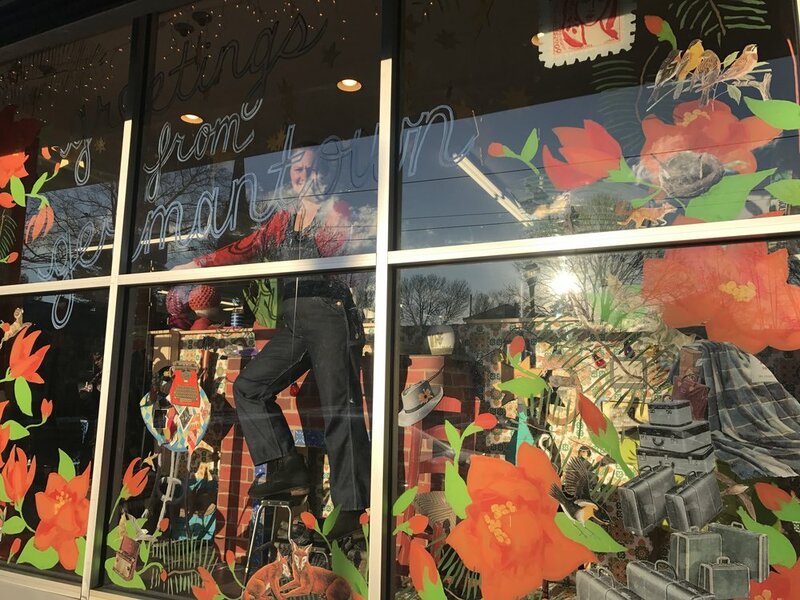 Original “Greetings from Germantown” postcards were also designed with the help of Carpe Diem Construction Co's Angela Miles to promote the business, community engagement, the CDC, and Germantown at large. 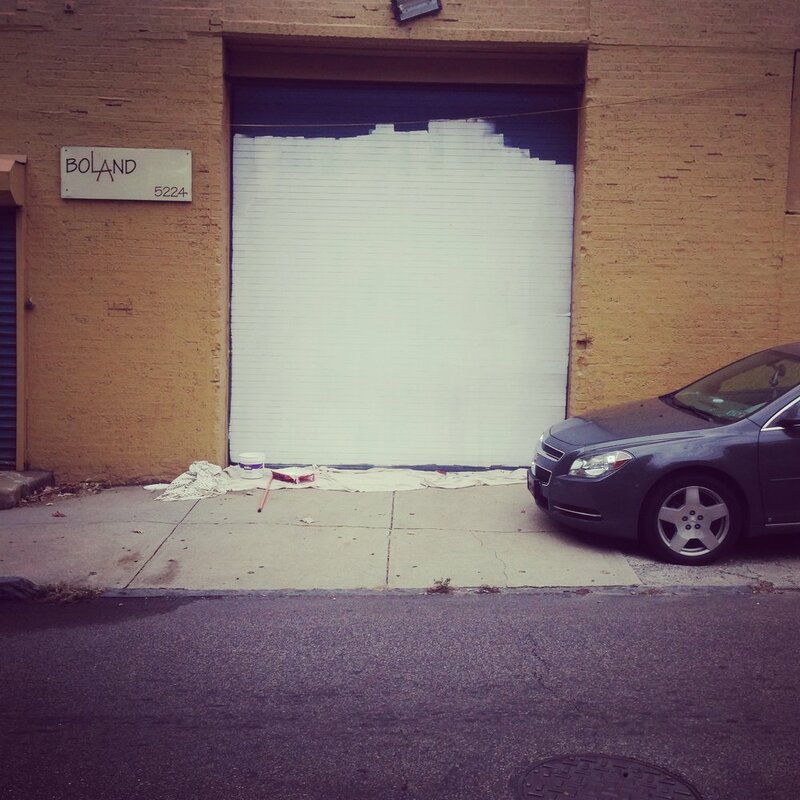 The industrial building at 5224 Greene St. in the Germantown neighborhood of Philadelphia is occupied by Boland Woodworking, a wood restoration business that has been located at the property since 1989. 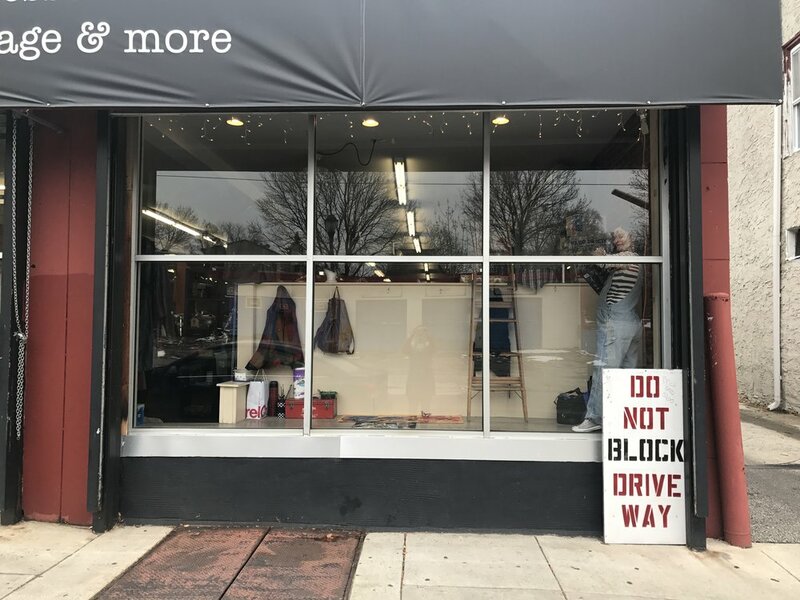 My goal for the project was to creatively give this windowless business some street visibility by painting their 11x12ft garage door with an original piece I created inspired by their logo. 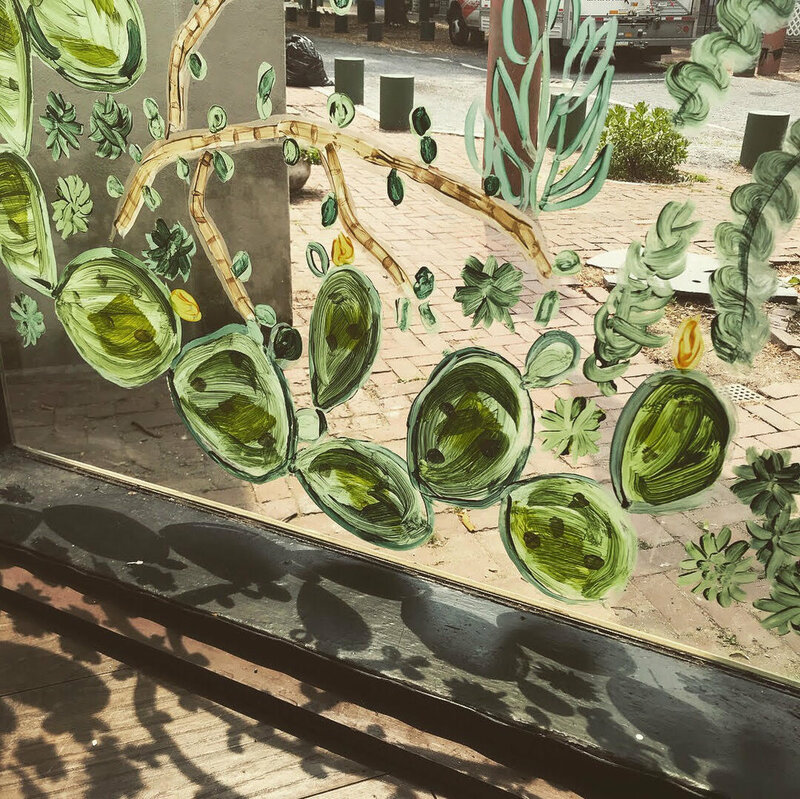 The design will help people that are coming to seek them out spot it easily, peak people's curiosity as to what the space is all about and thus create more knowledge of the business, and also just be a creative image that walkers and drivers by can enjoy. 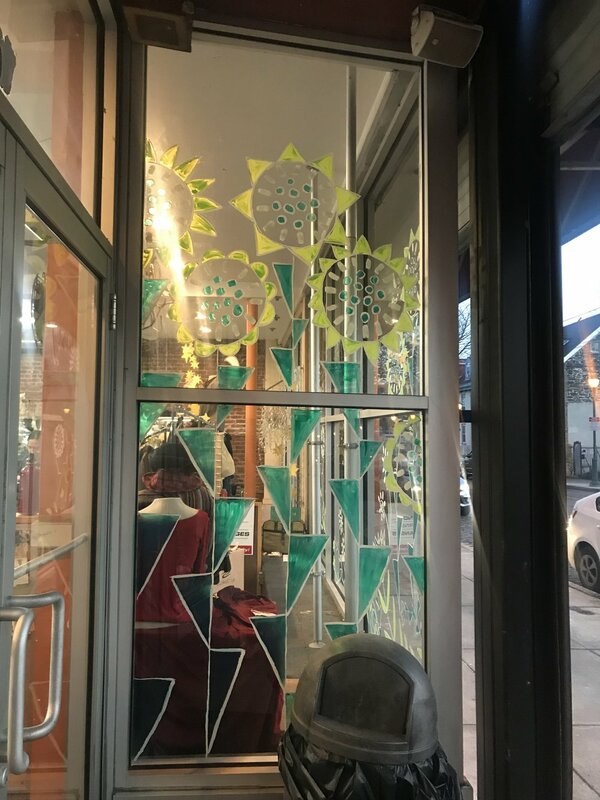 Seasonal Storefront Window for Germantown Espresso Bar in the Germantown neighborhood of Philadelphia. 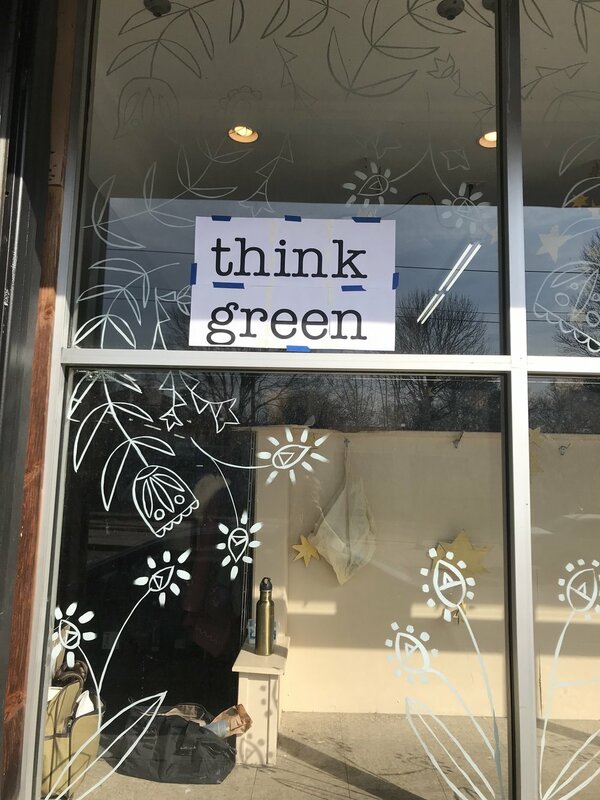 Alison Dilworth and myself were invited back to Bargain Thrift in Germantown to do a “green” themed window facade collaboration. 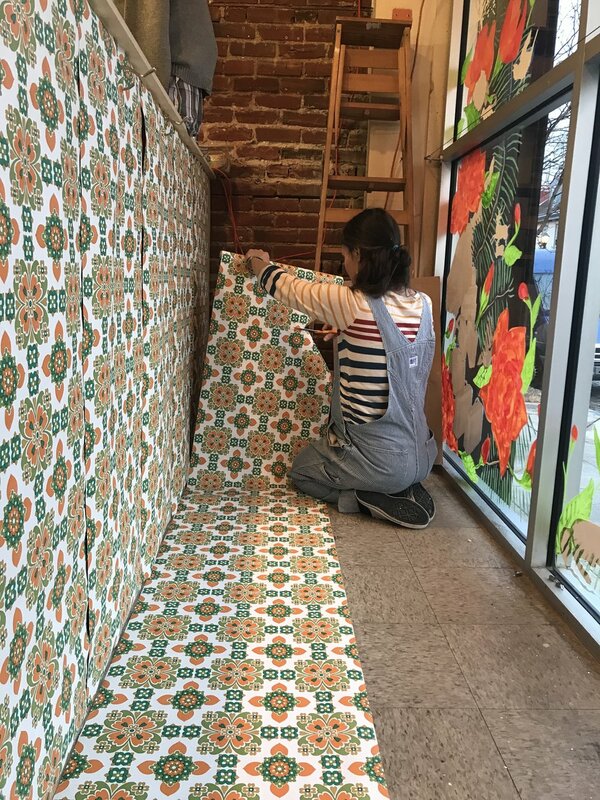 Working with ideas the owner brought to us, we created a design that would aesthetically flow with the signage above to create a large-scale scene that would attract passers by and greet them with joy upon arrival to the store.